From getting a snow plow down your street to filing a code complaint, much of how we interact with government is on a very local level. This year, Overland Park changed which council members represent which neighborhoods. The new ward boundaries are part of a biennial process to review and change the size of all six wards for equity. 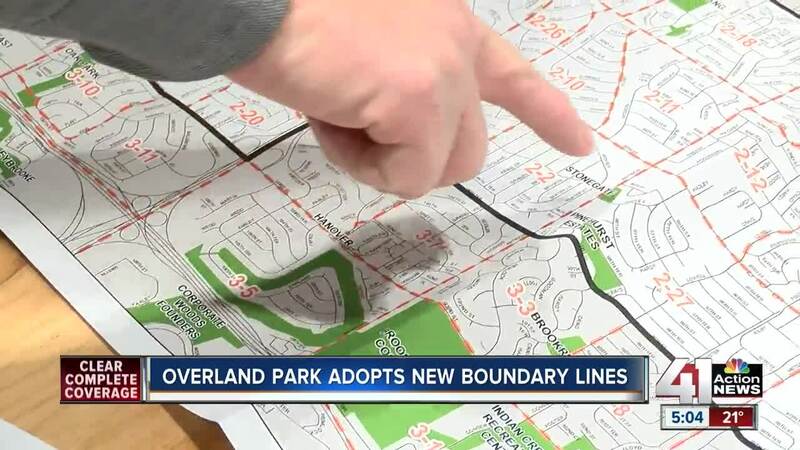 OVERLAND PARK, Kan. — From getting a snow plow down your street to filing a code complaint, much of how we interact with government is on a very local level. This year, Overland Park changed which council members represent which neighborhoods. The new ward boundaries are part of a biennial process to review and change the size of all six wards for equity. Council member Paul Lyons said the idea is to shift neighborhoods and precincts so that each ward covers about 30,000 people. That way everyone has an equal chance of reaching their respective council person when there's an issue. Lyons said no matter which city you live in, it's a good idea to know who represents you on the most local level. Because the southern end of Overland Park has seen new development and growth, Ward 6 had a larger population than any other ward. This year's changes even the population distribution. Wednesday, the city mailed notices to the addresses in town which changed wards this year. If you'd like to find out a right away whether your home changed, click here and enter your address in the box.